A competitive and memorable presence for the second largest specialty coffee company in the United States. Keeping with the Alaskan lodge theme, the exterior identification and signage is designed according to the conditions and needs of the site, customers, and community. 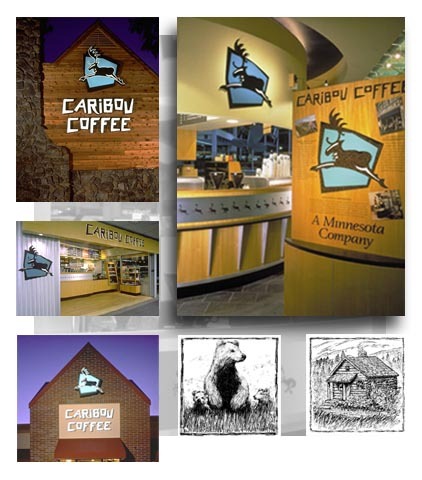 Imaging, exterior graphics, and site specifications for over 220 locations  from stand-alone stores with drive-thru service, to interior mall kiosks. Municipal code reviews and coordination.